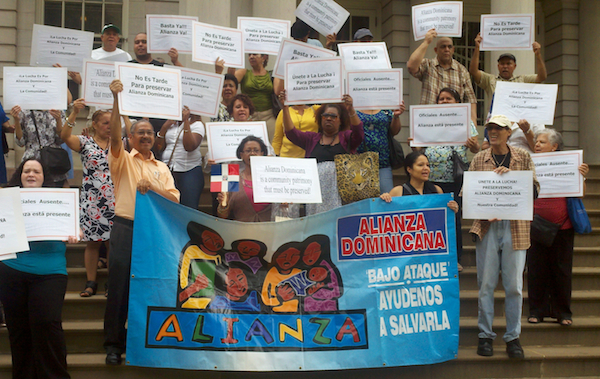 A protest in support of Alianza Dominicana, which has struggled amid financial management and a city investigation. This article was also published today in El Diario. For decades, Hispanic nonprofit organizations have been a great source of help for the Latino community, offering a range of services from health care to after-school programs and legal help with immigration. But at a time where great need remains, this sector is undergoing a deep crisis. “Unfortunately, the advances we had achieved in previous generations have vanished in the past 12 years,” says José Calderón, executive director of the Hispanic Federation, which represents about 60 of these organizations in the New York area. According to Calderón, the economic crisis and policies under Mayor Bloomberg’s administration have hurt these community organizations. “There has been a real focus on supporting large nonprofit organizations, which in many cases aren’t community-based,” he says. New York has 40,000 nonprofits, which employ more than 490,000 people or 15 percent of the city’s nongovernmental workforce—and 2,500 of them do business with the city. Many of these organizations survive thanks to private donations. However, Latino groups depend mostly on public funds. “For our community, philanthropy is foreign to us,” Calderón says. Charitable foundations give less than 2 percent to Latino institutions, “and that is tragic,” he added. Given that it’s an uphill battle to raise private capital, Calderón complained that the rules imposed by the current administration to access public funding are “unfair” and have resulted in less money and fewer contracts for Latino organizations, because they’re poorer. One of the requirements to land city funds is that an organization have capital available. In addition, funds are given through reimbursements, meaning the organization must spend money in advance before receiving compensation. This puts Latino organizations—which according to the most recent Census data, represent the poorest group in New York City—at a great disadvantage. “Latino organizations don’t have bankers on their boards of directors or the support of foundations,” says Moisés Pérez, founder and ex-CEO of Alianza Dominicana. The problem even affected one of the city’s largest Latino nonprofits. The Institute for the Puerto Rican Hispanic Elderly, Inc., founded in 1978, recently lost a contract it had with the city for one of its centers, Leonard Covello in Spanish Harlem. The Institute’s founder and director, Suleika Cabrera, had managed it for two decades. Instead, the Department for the Aging recently awarded the contract to the Carter Burden Center for the Aging on the Upper East Side. This major agency, which has a budget that comes mostly from private contributions, has solid connections with the city’s elite, as well as large institutions Bloomberg himself has funded in his role as philanthropist. To address criticism about the lack of funding directed to the small nonprofit sector, the Bloomberg administration has created several initiatives that benefit these organizations. In 2009, the mayor announced that he would double the Returnable Grant Fund (RGF), which provides loans without interest so that organizations can manage administrative costs. His administration also decided to expand the eligibility criteria for nonprofit organizations to be able to access the funds. In 2011, the mayor also donated approximately $311 million of his own money to 1,185 nonprofits. Latino nonprofit organizations grew during President Lyndon B. Johnson’s “war on poverty” in the 1960s. “There was a need to serve the Puerto Rican population in the ’60s,” says Carmen Cruz, ex director of the Leonard Covello Senior Center. When federal funds became scarce, that forced many organizations to seek more funding from local government. Cruz says that the crisis in the sector began during the administrations of Mayors Ed Koch and Rudolph Giuliani, who implemented major funding cuts. Nevertheless, everyone interviewed agreed that the policies of the current mayor were what ended up “choking” groups. The majority of these small institutions get a large part of their funds as contractors for city agencies, with contracts awarded through a process known as Requests for Proposals (RFP). During this process, nonprofit organizations must compete for a limited list of public contracts. The Department for the Aging (DFTA) and the Department of Youth and Community Development (DYCD) are two of the agencies that offer this bidding process and select the organizations. Cruz explained that the Covello Center served about 175 seniors on a daily basis with a staff of only seven people. “I directed this senior center for eight years, without getting any raises,” she says. In addition, Calderón complained that the board that evaluates proposals has no connection to the communities that receive the services offered by their organizations. Mullgrav also said that contracts are granted according to data indicating which groups and sectors with the biggest need for resources. The funds that the City Council distributes, known as discretionary funds, are another source of public funding. Each Council member receives a specific amount at the discretion of the Council speaker, which is distributed to organizations in his or her district that have applied for them. The Council also has several committees that receive additional funds for various social programs. The way these funds are distributed has come under strong criticism in recent years. In a 2012 report, Citizens Union found that the process is strongly politicized, and in many cases, it provides fewer benefits to the poorest districts. According to this report, the Council member who received the most combined funds for distribution in 2012 was Domenic Recchia Jr. He received $12,532,564 for Brooklyn’s District 47, whose residents are mostly middle class. Recchia, who concludes his third and last term this year, chairs the powerful Finance Committee. On the other hand, the funds given to rookie Councilman Fernando Cabrera don’t even equal half of Recchia’s amount: $3,812,651, despite the fact that he represents one of the city’s poorest areas, District 14 in the Bronx. Another factor in the weakening of Hispanic nonprofits has been a series of cases involving corruption and mismanagement. 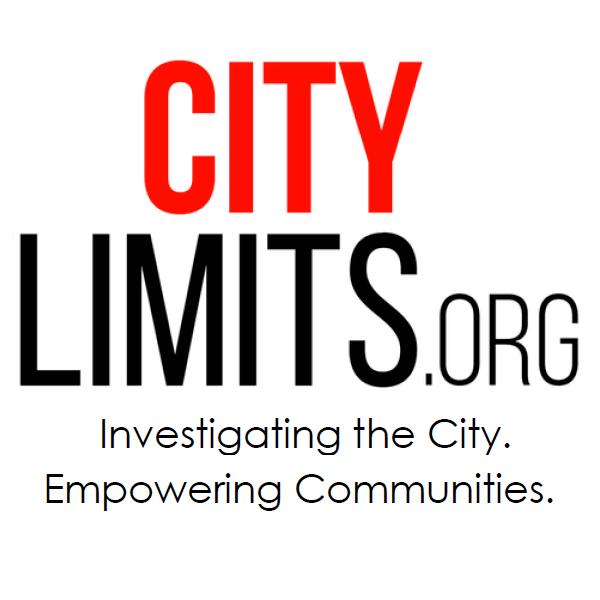 Since 2007, the city’s Department of Investigations (DOI) has had a unit to specifically investigate nonprofit organizations that receive public funds for possible corruption, fraud and unethical behavior. Among its targets is one of the city’s main Hispanic organizations in recent decades: Alianza Dominicana, member of the Hispanic Federation. Alianza, based in Manhattan’s Washington Heights, at one point had 350 employees, an annual budget of $15 million and “an amazing record helping the Latino community,” Calderón says. Founded in 1985, Alianza offered programs on domestic violence, addiction and childcare. However, an investigation by DOI, which referred the case to the state attorney general, found that some of the organization’s employees, including its leader, Pérez, misused funds. According to two official reports, Pérez and two of his employees invested in an organization (whose owner also worked at Alianza) that was also hired to manages Alianza’s finances, despite having no experience in the nonprofit sector. The investigation also found that the leader failed to send workers’ contributions to their pension funds, among other charges. Pérez—who denies any wrongdoing—claims that the investigation was an intimidation tactic to prevent the strengthening of Alianza Dominicana, because the organization exceeded expectations despite the “unfair” rules imposed by the local government. Although no charges were filed against Pérez, a court ordered him to resign — two weeks before the start of the second phase of construction of Alianza Dominicana’s new headquarters on 166th Street, valued at $30 million. Because of the DOI investigation, the city also froze Alianza’s funds, which resulted in the institution almost completely collapse. What remains of Alianza, which had $2 million in debt, is being managed by Catholic Charities. Now its services are few and limited to youth programs. Calderón thinks that the downfall of Alianza goes beyond what the DOI’s investigation showed. “Part of the reason is that no one invested in its infrastructure,” he says. He added that, although the organization received a lot of money for contracts with the city and the state, the government grants money strictly to fund the programs offered, without taking into account administrative expenses. “No one was investing in finance management, human resources, things that are key for that type of business,” he says. Because of other DOI investigations, several public officials, including three Latinos, have received prison sentences for corruption. Ex-Council members Hiram Monserrate and Miguel Martínez, and ex-state Senator Efraín González were convicted of charges including misappropriation of funds and fraud against community organizations in their districts. The organizations were the Latino Initiative for Better Resources and Empowerment in Queens, the Upper Manhattan Council Assisting Neighbors in Manhattan and the West Bronx Neighborhood Association Inc., respectively. Some nonprofit organizations have also come under criticism because of the high salaries of some of their heads. Last week, during a bail hearing, it was revealed that Yolanda González, the executive director of the organization Nos Quedamos, who was accused of misappropriating funds, had a salary of $275,000 plus bonuses. On its web site, the organization lists four employees as its staff. Political scientist Angelo Falcón says that the “excessive dependence” of nonprofits on local government has a “detrimental effect,” causing the loss of “much-needed independent activism” that is able to put the issues that impact the community at the forefront. “Before, the money wasn’t coming from the city,” says Falcón, director of the National Institute for Latino Policy (NiLP). The federal government was the main resource for this sector, giving nonprofits some independence from local leaders. The New York Times reported that in 2008 Bloomberg pressured nonprofit organizations funded by his administration to advocate for his proposal to extend term limits to three terms. St. Nicholas Preservation Corporation in Brooklyn was one of the organizations whose representatives testified on his behalf before the City Council. A recent NiLP report also points out that the lack of Latino representation in the municipal government’s workforce is another big negative factor, especially when deciding how to distribute resources. Compounding this is “a lack of political leadership,” Falcón says, adding that while the majority of Council members are African American or Latino, an agenda to benefit these groups isn’t being promoted. “They don’t organize, they don’t work together,” Falcón adds. “We don’t have enough influence to pressure the Council speaker” to push an agenda for Latinos or people of color. An example, he added, is that Latino leaders disagreed on which mayoral candidate they would endorse before the primaries. Experts recognize that being almost absolutely dependent on the local government is at the root of the financial problems of these organizations, which at one time were also the major activist voice of the community. Calderón says that as long as the community isn’t an important part of the progress of the organizations serving it, the problem will continue. “The Jewish community is the best example,” he says. The big difference is that Latinos have the highest growth and are the poorest group in the city. (New York, N.Y.) – Asphalt Green, the New York City sports and fitness nonprofit, raised $875,000 at its Big Swim Big Kick Benefit on Saturday, May 7, 2016 at its Upper East Side campus. 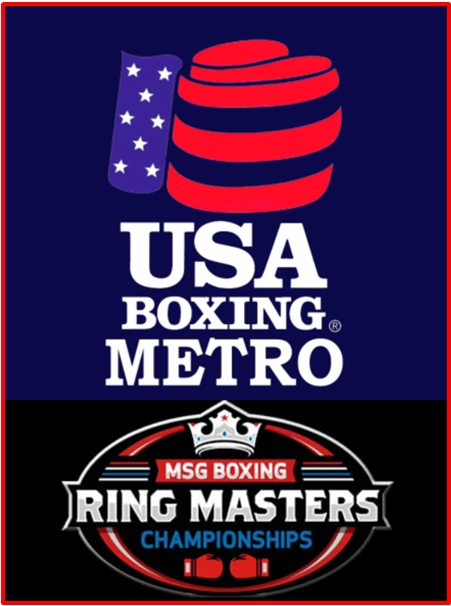 The money will support the organization’s scholarships and Community Programs, which transform the lives of over 33,000 New York City kids each year through sports and fitness programs and scholarships. The students at 826NYC are hunting a murderer—in the movie script they’re writing. But finding that fictional killer will be a lot easier than many kids’ real-life hunt for art programs to keep them stimulated over the summer break.